A bornite crystal from Butte, Montana. This has the crystal form of bornite, but only the exterior is composed entirely of this mineral. The interior is nearly all lattice structure of bornite and chalcocite. x 30 diam. 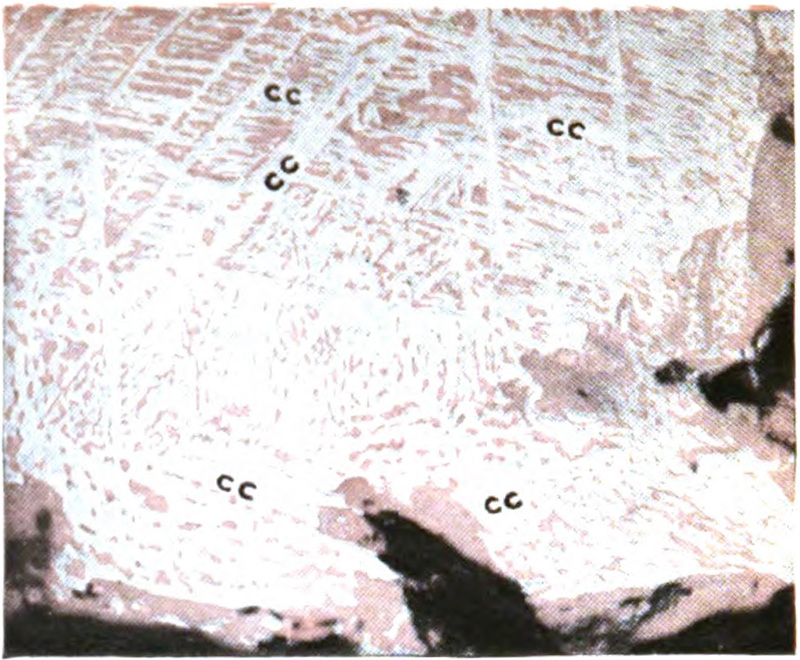 Photomicrographs of polished sections by reflected light colored to show the actual appearance of the minerals under the microscope. Original at Harvard, digitized September 17, 2007. This from the only Plate visible in the scan.